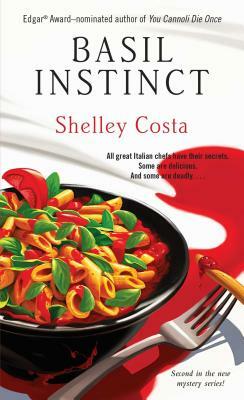 In this second cozy mystery series that started with You Cannoli Die Once, a chef and her cousins launch their own investigation when a new sous chef turns up dead in their Italian restaurant. When Chef Eve Angelotta’s grandmother, Maria Pia, is invited to join Belfiere, a secret all-female Italian culinary society, Eve is concerned. Rumor has it that membership is lifelong—whether you like it or not. Eve and her cousin Landon try to research Belfiere, but all they come up with is a two-year-old blog entry warning against the two-hundred-year-old society that centers around meals inspired by famous female poisoners. Soon after, Eve’s new sous chef turns up dead just inside the front door of Miracolo, Eve’s restaurant. When they discover the sous chef had connections to Belfiere, Eve and her Italian cousins start a mission to find out what happened—before Maria Pia is made an offer she can’t refuse.